The Treasure State provides a spectacular backdrop for some of the most scenic campgrounds in the country. But do you know which campgrounds offer the most privacy? Which are the best for first-time campers? 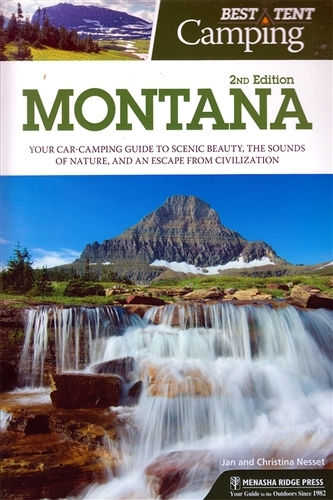 Christina and Jan Nesset have traversed the entire region, personally researching and experiencing dozens of campgrounds- from the Cabinet Mountain Wilderness in the northwest to the Yellowstone River Valley in the south- to come up with the 50 best tent-camping locations in all of Montana. Use their up-to-date research to steer you to the perfect spot! Whether you seek a quiet campground near a fish-fillet stream or a family campground with all the amenities, grab Best Tent Camping: Montana. This guide is a keeper.